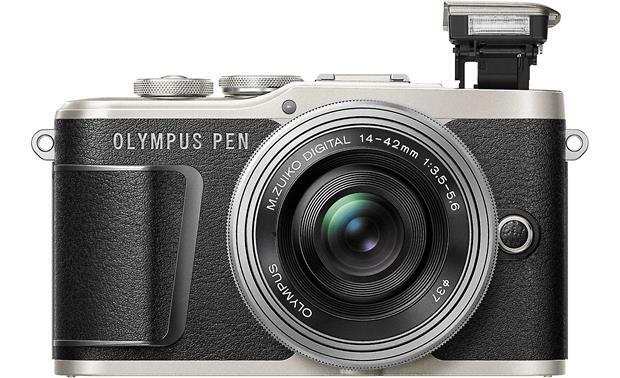 The E-PL9 is the latest in a long line of Olympus PEN cameras dating back to the film days. By buying this product you'll earn up to 649 Rewards points. 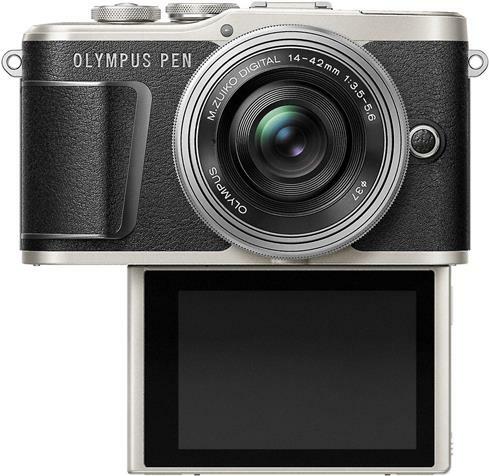 The E-PL9 is the latest in a long line of Olympus PEN cameras dating back to the film days. These compact cameras have earned their reputation for being fun and easy to use. 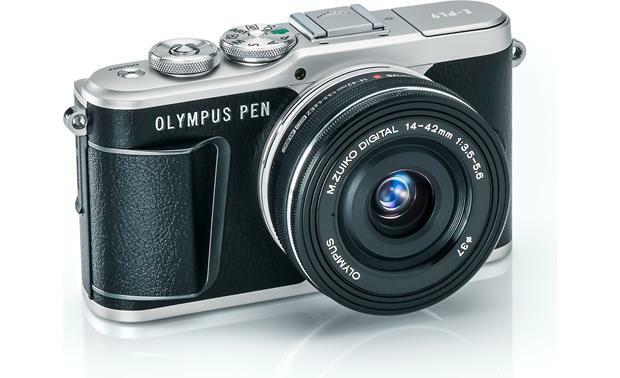 My own Olympus PEN is the best mirrorless camera I have ever tried. It has all the manual features my bigger DSLR cameras have, but it's lightweight and super-discreet — perfect for when I want to travel light or take candid people portraits. 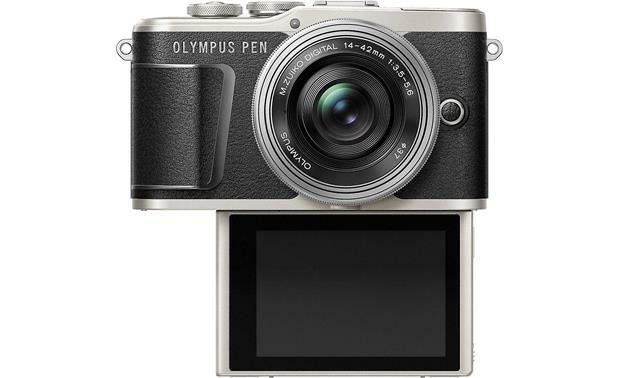 The Olympus PEN E-PL9's touchscreen monitor tilts downward 180 degrees to face you. 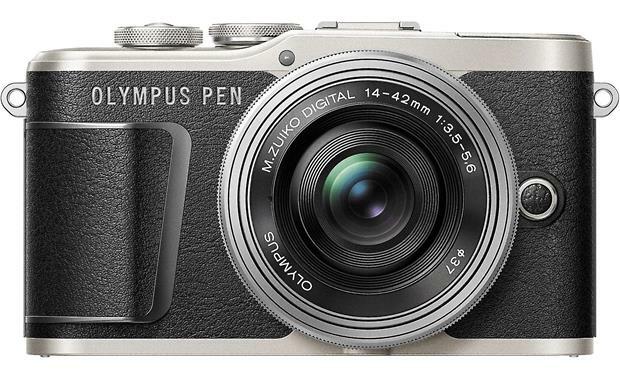 This is the first Olympus PEN model to offer 4K video capabilities. The E-PL9 records 4K movies at a rate of up to 30 frames per second. Monitor Mode lets you connect an external display to the camera's HDMI output so you can monitor video recording on a larger screen. The E-PL9 has intuitive features that make it easier for anyone to use. You can focus and shoot with the shutter button or the touchscreen. The screen tilts upward so you can frame shots from lower angles, and also tilts up to 180 degrees downward so you can get a good selfie. When it comes to photographing fast motion or dimly lit scenes, the E-PL9 leaves your phone in the dust. Its fast 121-point autofocus system locks onto your subject and tracks it throughout the image plane, so you can fire off a series of burst shots to capture any kind of action. The E-PL9's three-axis image stabilization compensates for different kinds of camera movement to effectively reduce image blur. This feature also lets you get better shots in low light and minimizes camera shake in your videos. The included M. Zuiko 14-42mm f/3.5-5.6 EZ lens is a mid-range pancake zoom that's perfect for everyday use. Great for landscapes and portraits, its short minimum focus distance makes it an excellent choice for close-ups too. The lens's large maximum aperture gives you dreamy background blur to emphasize your subject. The lens's Movie & Stills Compatible (MSC) autofocus system and electronic zoom mechanism give you near silent control so you won't hear it working when you're shooting video with sound. Uploading photos is quick and easy with the E-PL9's built-in Wi-Fi and Bluetooth. My Olympus PEN is the first camera I've ever had with Wi-Fi, and I love being able to control it with my phone through the Olympus Image Share app. I've used the app's remote feature to take shots of animals and landscapes with the camera on a tripod or on the ground, and I've also used it for self-portraits and to include myself in group shots. It's so cool to be able to change settings, focus, and zoom right from my phone. weight (with memory card and battery): 13.4 oz. Olympus PEN: In 1959, Olympus introduced the PEN, a camera with the photographic optics of an SLR (single-lens reflex) camera with the size and simplicity of a point-and-shoot camera. The PEN was re-introduced in 2009 as the fully digital E-P1 with interchangeable lenses and multimedia capabilities with simple controls. 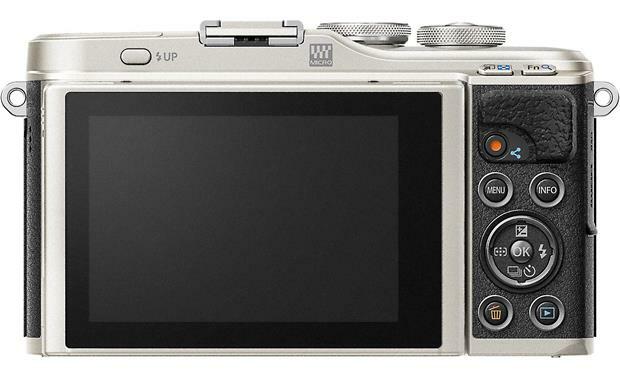 The new PEN E-PL9 features a 3" Touch Screen monitor and fast 8.6 fps sequential shooting. 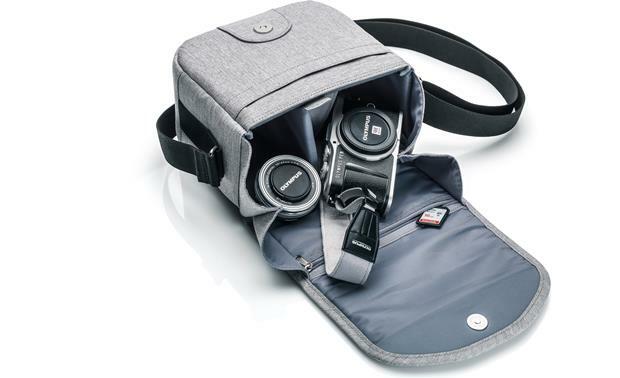 This kit includes the E-PL9 body, the M. Zuiko Digital 14-42mm lens, a 16 GB SDHC memory card, and a custom Olympus bag and matching strap. M.Zuiko Digital Lenses: The camera has a Micro Four Thirds lens mount, and is compatible with Olympus M.Zuiko Digital lenses. The M.Zuiko 14-42mm F3.5-5.6 EZ lens is included with the camera. Recording Media: You can record still images and movies onto SD, SDHC, and SDXC memory cards including UHS-I compatible cards. Class 10 cards or better are recommended for movie recording. UHS-I U3 cards should be used when recording 4K or high speed movies. Eye-Fi cards, with built-in wireless LAN functionality, are also compatible. A Sandisk 16 GB UHS-I card is included. Image Pickup Device: The PEN E-PL9 uses a 4/3" Live MOS sensor (17.3mm x 13.0mm) with approximately 17.2-million total pixels and 16.05-million effective pixels. 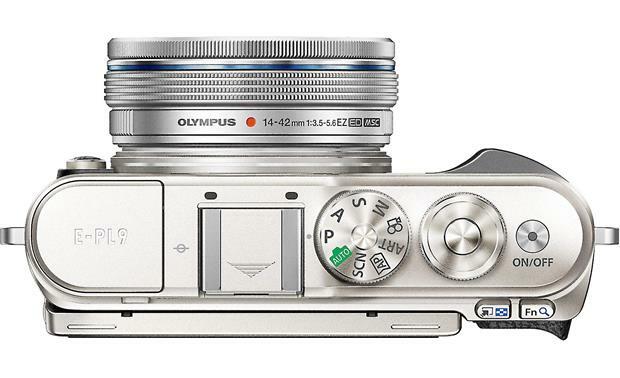 The Live MOS sensor is complimented by Olympus' TruePic VIII Image Processor for clear, true-to-life images. Dust Reduction System: The E-PL9's built-in Dust Reduction System helps to eliminate unwanted spots on your images. When you turn on the camera, the patented Supersonic Wave Filter silently vibrates, shaking off and collecting dust particles that may accumulate on the sensor. 3" Tilting Touch LCD: You can use the camera's 3" Tilting Touch LCD monitor for framing your shots and viewing your digital pictures and videos. The 3:2 LCD has approximately 1,037,000 dots, and can tilt upward to 80° for shooting from low angles and downward to 180° for overhead shots and self-portraits. It also features an electrostatic capacitance touch screen, with touch shutter release and many other touch controls. The monitor brightness is adjustable from -7 to +7. Image Recording Formats: The E-PL9 records digital still images in JPEG format, as well as RAW uncompressed images. RAW images can be processed into JPEG files in the camera or using downloadable Olympus Viewer 3 software. You can record up to 30 seconds of audio with still images in WAV format. Movies are recorded in MPEG-4 AVC/H.264 with 16-bit PCM stereo audio at a 48 kHz sampling rate. Bluetooth + Wi-Fi: The E-PL9 can connect to your smartphone via Bluetooth or Wi-Fi. Using the Olympus Image Share (OI.Share) application you can download images from the camera to a smartphone, or shoot remotely from the smartphone. The Olympus Image Palette (OI.Palette) app can be used for further image processing, while the Olympus Image Track (OI.Track) app is for adding GPS tags to your images. The Olympus apps are compatible with Android devices running 4.4 and up, and with Apple iPhone/iPad/iPod touch with iOS 9.0 and later. S-IS Off: Image stabilizer is off. S-IS On: The camera detects the panning direction and applies the appropriate image stabilization. M-IS Off: Image stabilizer is off. M-IS1: The camera uses both sensor shift (VCM) and electronic correction. M-IS2: The camera uses sensor shift (VCM) correction only. Electronic correction is not used. Auto: A full auto mode in which the camera automatically optimizes settings for the current scene. Program Shooting: The camera meters the subject's brightness and automatically adjusts the aperture and shutter speed for best results. Aperture Priority: You can set the aperture manually, and the camera sets the shutter speed automatically. Shutter Priority: You can set the shutter speed manually between 1/4000 to 60 seconds, and the camera sets the aperture automatically. Manual: You set both the shutter speed and aperture manually. In this mode, you can shoot with long exposure times (Bulb and Time Modes). Art Filter: You can select from the following Art Filters: Pop Art (2 versions), Soft Focus, Pale & Light Color (2 versions), Light Tone, Grainy Film (2 versions), Pin Hole (3 versions), Diorama (2 versions), Cross Process (2 versions), Gentle Sepia, Dramatic Tone (2 versions), Key Line (2 versions), Watercolor (2 versions), Vintage (3 versions), Partial Color (3 versions), Bleach Bypass (2 versions), and Instant Film. Scene Modes: You can select from the following Scene Modes: Portrait, e-Portrait, Portrait + Landscape, Portrait + Nightscape, Children, Nightscape, Hand-Held Starlight, Fireworks, Light Trails, Sport, Panning, Landscape, Sunset, Beach & Snow, Panorama, Backlight HDR, Candlelight, Silent, Macro, Nature Macro, Documents, and Multi Focus Shot. Movie Shooting Modes: You can shoot movies in Standard mode or 4K, as well as Clips, and High-speed. Available movie effects include Art Fade, Old Film, Multi-echo, One-shot Echo, and Movie Tele-converter. Advanced Photo (AP): After rotating the mode dial to AP, you can choose from these advanced settings: Live Composite, Live Time, Multiple Exposure, HDR, Silent, Panorama, Keystone Compensation, AE Bracketing, and Focus Bracketing. Custom: lets you select one of the above modes, set the parameters, and register the setting. Focus Modes: The PEN E-PL9 uses automatic focusing and manual focusing. You can select Single-AF (when shutter pressed halfway), Continuous-AF (always focusing), or Manual (turning the focus ring). You can also fine-adjust the focus manually by turning the focus ring after AF is performed in the S-AF mode (S-AF+MF). If you have a moving subject, you can use the AF Tracking feature (C-AF+TR). In this mode, the camera will track and maintain focus on the subject while the shutter button is held halfway. Auto-Focus Target: The camera has 121 Contrast Detection Auto-Focus points (11 vertical columns x 11 horizontal rows) for focusing on the subject. In the All-Target AF mode, the camera automatically chooses from the full set of 121 AF targets. In the Single-Target AF mode, you can manually select one AF target for accurately focusing on the subject after composing the shot. In the 9 Target mode, the camera automatically chooses from the targets in the selected nine-target group. ISO Settings: The sensitivity can be set automatically or manually. You can set the default and upper limits for Auto ISO. The manual ISO sensitivity ranges from Low (about ISO 100), and ISO 200 to 25600, with 1/3 EV steps. Sequential Shooting: In addition to shooting single frames, the E-PL9 can also shoot multiple images for as long as the shutter button is pressed. When Sequential H is selected, pictures are taken at up to about 8.6 frames per second (fps). In Sequential L mode, images are taken at about 4.8 fps. Focus, exposure, and white balance are fixed at the value for the first shot in each series. When shooting RAW images, the maximum number of recordable pictures is 14 frames in Sequential L and 13 frames in Sequential H. There is no limit when shooting JPEG photos. Self-Timer: The Self-Timer lets you take pictures after a preset amount of time. You can choose from 2 seconds or 12 seconds. Self-timer Custom lets you set the number of frames to be shot (1-10), length of delay (1-30 seconds) and interval between shots (0.5, 1, 2, or 3 seconds). Bulb/Time Shooting: The PEN E-PL9 can take extra long exposures with Bulb and Time photography. When the camera is set to Bulb, the shutter remains open as long as the shutter button stays pressed. When set to Time, the shutter opens when the shutter release is pressed fully and closes when the shutter release is pressed fully a second time. Use of a tripod and remote shutter release (through OI.Share) are recommended for Bulb and Time Photography. Interval Shooting: You can take a series of photos over a period of time. You can shoot 1 to 999 shots at intervals of 1 second to 24 hours. You can also delay the start of the interval timer up to 24 hours. You can convert the series of pictures into a time-lapse movie. Flash Modes: The E-PL9 has a built-in pop-up flash. You can select from several flash modes: Auto, Fill in flash, Red-eye reduction flash, Slow synchronization (1st curtain), Slow sync (1st curtain) with Red-eye reduction, Slow synchronization (2nd curtain), Manual, and Flash off. You can also manually set the intensity of the flash between -3.0EV to +3.0EV. With the included 14-42mm lens, the minimum flash distance at which vignetting occurs is 1 meter (39"). 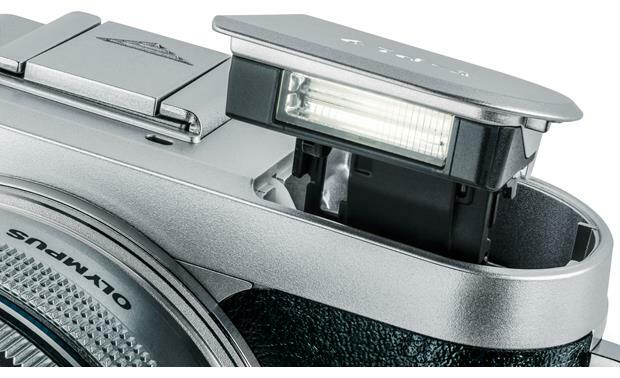 The camera has a hot shoe for attaching an optional external flash unit. Spot: Camera meters a very small area (about 2% of the frame) around the center of the subject. Multiple Exposures: The E-PL9 can overlay multiple frames and save the result as a single image. You can overlay an image while taking a picture, or overlay a recorded (RAW) image in playback mode. Photo Playback: You can play back images one at a time, or in an index display of 25. You can also display images recorded on the memory card by date (calendar display). While in single image playback, the image can be magnified to 2x, 3x, 5x, 7x, 10x, or 14x for a closer look. Playback On TV: The PEN E-PL9 allows you to play back your still images or movies on a TV. The camera has a Micro HDMI (Type D) connector for playback on an HDTV with an optional Micro HDMI-to-HDMI cable. You can set the HDMI output resolution to 4K, 1080p, 720p, or 480p (576p for PAL). PictBridge Printing Capability: Using the supplied USB cable, you can connect this camera directly to a PictBridge compliant printer, regardless of brand. Power Options: The E-PL9 is powered by the supplied BLS-50 Lithium-Ion rechargeable battery (7.2 volts, 1210mAh, 8.5Wh). 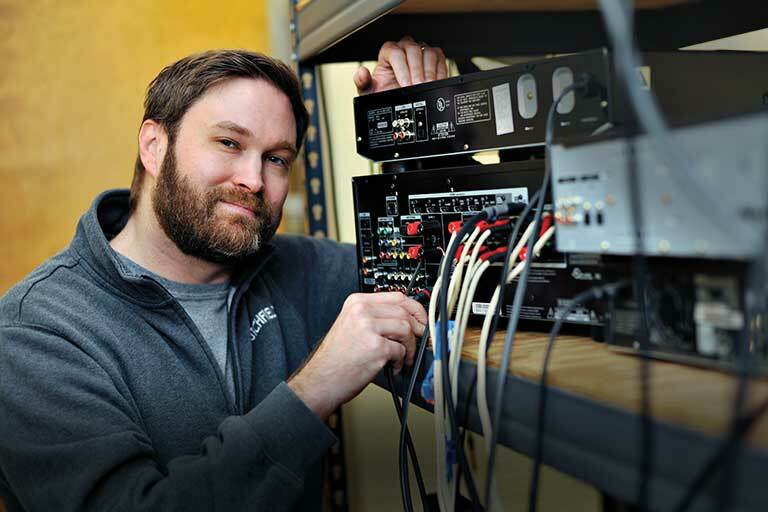 The battery charges in approximately 3 hours 30 minutes in the supplied BCS-5 battery charger. The BLS-50 battery is good for approximately 350 shots or 80 minutes of video on a single charge. 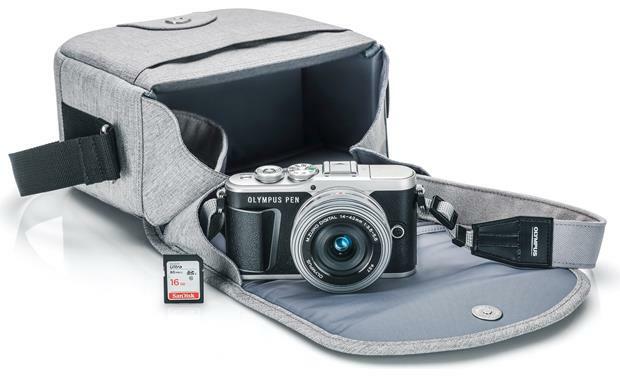 Searches related to the Olympus PEN E-PL9 Kit 16.1-megapixel mirrorless camera with Wi-Fi®, Bluetooth®, and 14-42mm f/3.5-5.6 EZ lens.